I’m going to refrain from using the word ‘review’ for this post. That’s because I cannot review someone’s sincere mental health memoir. What courage it must have taken for the author-Susannah Cahalan, to re-live the most traumatic period of her life and write about it! It’s admirable. There’s so much we take for granted in life. Our parents, friends, our bodies, our brain. It’s never fun when they act up. Especially our brain, the boss of our body. Susannah wakes up one day with strange marks on her arm which look like bug bites. From then on, something changes within her. She’s not herself. She is suddenly plagued by irrational fears, hallucinations, and extreme paranoia. She also goes through phases where she’s suddenly extremely happy and buoyant for no reason. Her condition deteriorates rapidly after that, leading to a stroke which leaves the left side of her body numb. She wakes up a month later on a hospital bed in a straitjacket and no memory of what happened to her. After numerous failed medical tests and nonplussed doctors leaning towards schizophrenia, a brilliant doctor (Dr. Souhel Najjar) gives her disease a diagnosis and a cure (Anyone else thinking of Doctor House? ;)). Anti-NMDA-Receptor Autoimmune Encephalitis is the medical term for the brain being under attack by the body. How frightening is that! Seizures, paranoia, hallucinations and rigid zombie like movements are major symptoms. To think how many people are feared to be “possessed” and how many people with similar symptoms spend lifetimes in psychiatric facilities without a diagnosis! Could it be this disease they might be afflicted with? Susannah considers herself lucky her paths crossed with Dr. Najjar and that her family was able to afford her treatment. This book is her attempt to reconstruct her lost month with the help of hospital videos, family journals and interviews with her doctors. It is an engaging medical mystery without being too clinical. What I really liked about it is the tone of this book. Nowhere does the author wallow in self-pity or portray herself as a heroine. It is an honest account of a woman’s sudden and swift descent into madness. Makes me thankful for ordinary days. I’ll leave you with one of my favorite quotes from this book – “I wouldn’t take that experience back for anything in the world. 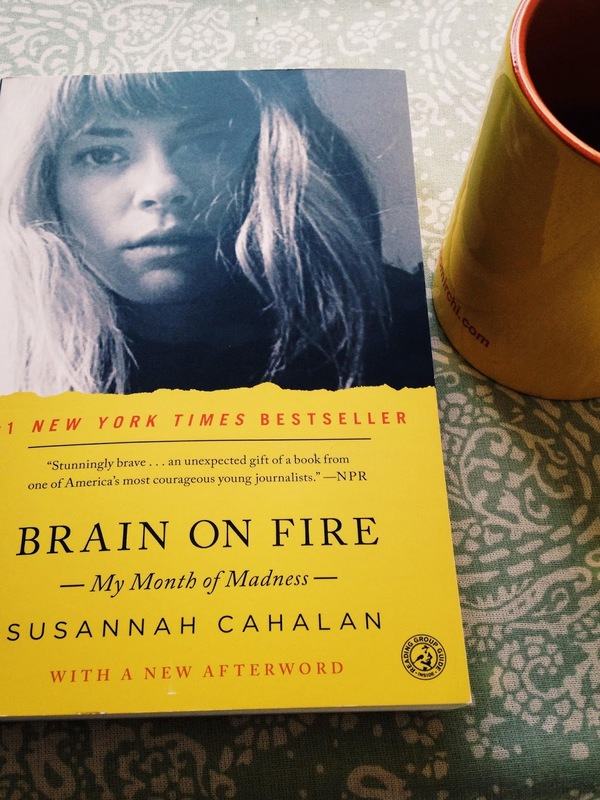 Too much light has come out of my darkness” – Susannah Cahalan. Looks like an interesting read. Would like to read the experience of Susannah. Thanks for sharing. I share with your her courage to write about her one-month nightmare. Really inspiring! The quote in the end sums-up how we should approach our lives too! Thanks for this 'review' (i know you didn't mean that)! Thanks Alok! I absolutely love that quote. I'm considering this book as part of a reading challenge, so this review was helpful. Thank you! So glad this review helped. Happy reading!